The 4,000-square-foot SIM Center headquarters, located on the 18th floor of Boston’s Center for Life Sciences building (3 Blackfan Circle). 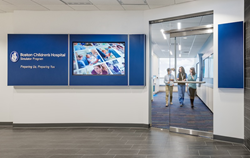 Boston Children’s Hospital today announced its new pediatric Simulation (SIM) Center — a space where clinicians can rehearse tough medical situations or practice tricky or rare procedures in an environment that looks and feels real. 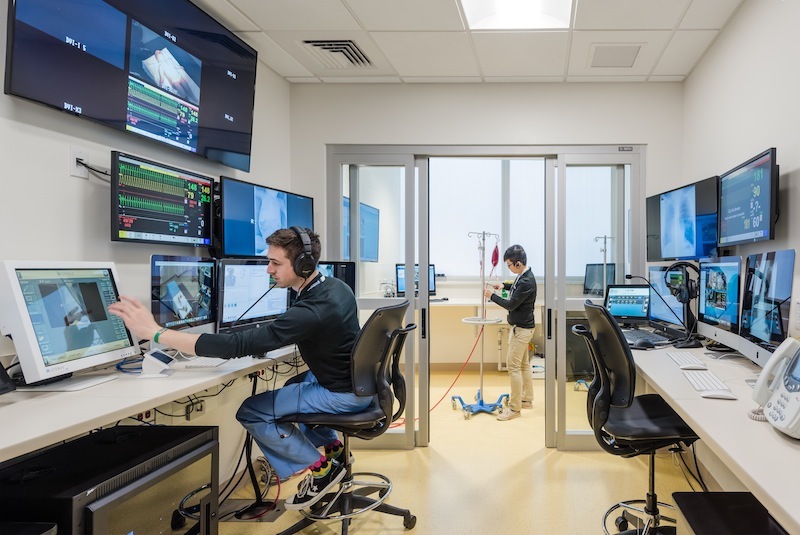 Located in the heart of Boston’s Longwood Medical Area, the SIM Center is also available to inventors and “hackers” to develop and test new devices or software platforms and see how they perform in a life-like clinical environment. Family caregivers, too, can use the SIM Center to practice using medical equipment and gain confidence in handling care at home. Near the SIM Center Headquarters (3 Blackfan Circle) is the SIM InventorSpace, housing 3D printers, an imaging room for converting data from patient scans for 3D printing, an engineering space, a special effects room and a space dedicated to device prototyping. High-resolution photos are available via Dropbox: bitly.com/BCHSimCenter. Watch a video tour: bitly.com/BCHSimCenterVideo. 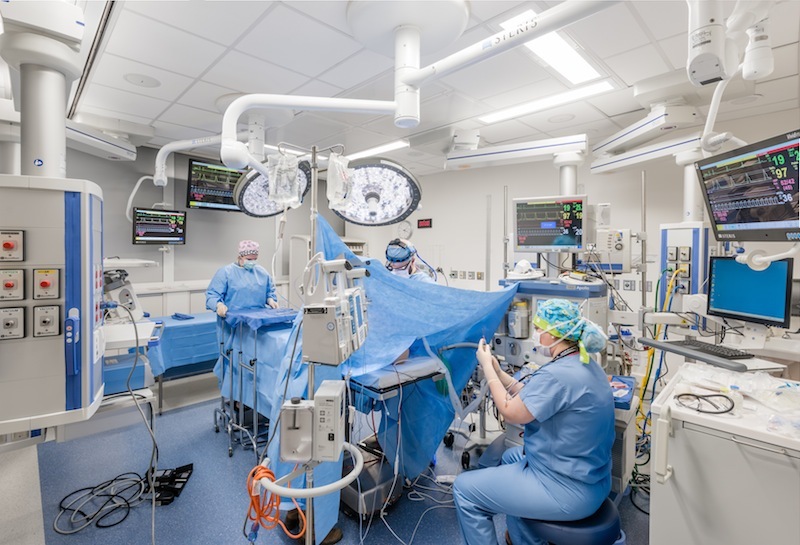 Through set changes, the Center’s three main simulation rooms can convert to any kind of medical setting, like this fully equipped operating room. All SIM Center rooms — even the reception area and bathroom — are wired with microphones and cameras and connected to a large control room where technicians stage the simulations behind the scenes.